Martin Scorsese made me nostalgic for three weeks ago! Over the past three nights I’ve watched No Direction Home, the almost three-hour documentary about Bob Dylan’s life up to mid-1966. 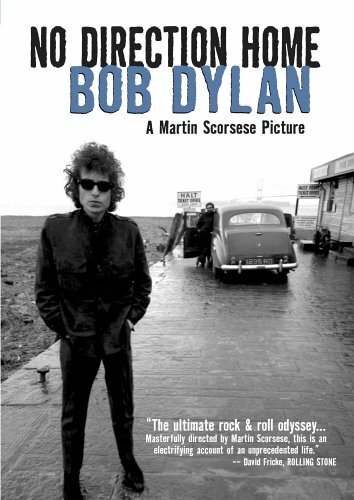 It is a brilliant documentary – I would recommend it even to people who are not fans of Bob Dylan. Yes, it is hagiographic, but that is the brief of projects like this one, so it’s hard to blame it for that. The speed with which Dylan arrived on the scene, became a star, took over, and then betrayed it is rather breathtaking, particularly when it is reduced to three hours. It’s sometimes hard to comprehend over the five weeks I’ve been doing this. I will say, watching him sing – in crisp clear film – some of his earlier material made me wish I was listening again to 1963 and 1964. I miss them already! Oh well, onward. Scorsese hooks the documentary around Dylan’s 1966 tour of Europe, which was mostly England, but also stops in Sweden, Denmark, Ireland, and France. This tour was filmed by D. A. Pennebaker for a sequel to Dont Look Back, which wound up being Eat the Document, which wound up never being released (though you can watch it on YouTube, as I pointed out the other day). Scorsese rescues all of this footage, and repurposes it for the film that Pennebaker probably should have made forty-five years ago. He also borrows heavily on Murray Lerner’s Festival, which is the basis for The Other Side of the Mirror. Basically, Scorsese is able to cut two previous films together to make this film, and then he adds a lot of great archival footage, plus new interviews with Dylan, Joan Baez, Dave Van Ronk, Peter Yarrow, Pete Seeger, Maria Muldaur, Suze Rotolo, you get the idea. One of the most remarkable things about this film is how much footage of Dylan exists. He is one of the first important artists of the era of the handheld movie camera, and he was just so thoroughly documented from 1963 onward. There is no film footage of the coffee house Dylan, but almost everything after that is out there to be seen – not simply everything he ever sang at Newport over a three year period, but so much of his tours in 1965 and 1966. There is a vast mountain of Dylan footage for Scorsese to cull from, and he does so extremely well. The portrait of Dylan is very thorough. Scorsese isn’t afraid to take his time. He doesn’t even land a record deal until 70 minutes into the film – they spend a lot of time on his early life, his time in Minneapolis, and early days in New York. The footage of Greenwich Village really helped make that history more clear in my mind, even as there were some details that were rushed (including Dylan’s break with the organized political left, which is a much more elaborate story than is told here). The film is very much about the public Dylan. While two of his former lovers give current interviews (Rotolo and Baez), I don’t think Rotolo is identified as his ex- except in passing, and Baez barely talks about their relationship (she calls him “a special friend” at one point). Sara Lownds, Dylan’s first wife, is not mentioned at all – you would have no sense from the film that he was married during his UK tour in 1966. 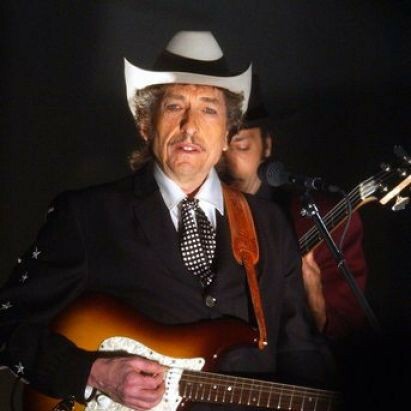 The film constantly moves back and forth between a chronological march through Dylan’s career and footage from the 1966 tour. How brutal that must have been. While Dylan and the Hawks were playing the best music he had ever produced up to that point in his life, the crowds were absolutely terrible. It is one thing to read about the booing, but another again to witness its ferocity. The hostility was overwhelming, and Dylan was clearly crumbling. Some of the footage in the final minutes showing a completely strung out Dylan virtually begging to go home are tough to watch. This is a man who had been through an emotional wringer. He was twenty-five years old, he’d just had his first child, his crowds were fighting him, and he looked absolutely mentally and physically exhausted. A few months later, as the film notes, he would crash his motorcycle and retreat from public view, not touring for eight years (which is really going to cut down on my bootleg listening for the next two months, I can assure you). One of the highlights of the film is the contemporary interview with Dylan. He seems honest, or about as honest as you expect Dylan might be able to be. He’s reflective, and he’s not playing games any longer. The other highlight, for me, was the film footage of the “Royal Albert Hall” version of “Like a Rolling Stone”. I’ll write more about this later today, but let me just say that I watched this documentary when it aired on PBS in 2005. At that time I had no idea that that footage existed and it literally gave me goosebumps. It did again last night.